And now back to our regularly scheduled programming of Betsy leaves the serious stuff to other people and focuses on writing. This week I've been poring over the contest essays as well as penning a few of my own to publish in concurrence with my book coming out in January. (yes I still do the happy dance every time I say that) But that leads me to focus on the question: So What exactly makes a good personal essay? First off, it's got to be non-fiction. Resist the temptation of making your life more dramatic than it really is. On the same token, you don't need to quote a conversation that happened ten years ago word for word. Recount the details as best you can and leave the alien abductions to the Sci-fi folks. Next, the essay has to serve a purpose. It has to have a central conceit -- an emotional goal. Rambling is all good and well for self journaling and blogging, but if you want an essay to be published somewhere, it has to have a point. Preferably one that matches with where you are trying to publish. Once you know what you want the reader to walk away with at the end of your tale, make sure every word - every line - gets you closer to that. You can quickly lose your reader by giving too much info that serves no other purpose than to prove you are an excellent writer. One thing to be wary of is being preachy. Often, in an essay, you'll want to show what you've learned. How an experience changed you. Try very hard not to use 2nd person narration. Let me give you an example of what to do vs what not to do. Do: In my heart, I knew I had to wait until he came to the truth himself. My beliefs, no matter how well-intentioned, couldn't make him find God until he was ready to look. Don't: You can't force your beliefs on other people. You've got to let them find the Lord all on their own. See the difference? 2nd person is used in teaching, or a blog post such as this. But in a personal essay, you want your audience to learn the lesson through your eyes. They don't want to have a finger wagged at them. Which leads me to my last point. Trust yourself and trust your reader. You can get out the emotion of a story without over dramatic phrases like: Grief crashed over me like waves, threatening to pull me under until I had no breath in my lungs. Sometimes over doing it can ruin the moment as much as under doing it. I was sad. Don't hit the audience over the head "you will feel this gosh darnit." Instead of relying on heavy handed or cliched expressions, trust in your narrative voice to convey what you're going through. Losing him made me want to run and bury myself under a thousand blankets. Maybe if I hid long enough, I could forget he was really gone. On a final note, I wanted to say what a pleasure it's been reading through your submissions. Thank you for sharing your stories with us. We should get the results and notes back to the participants shortly. 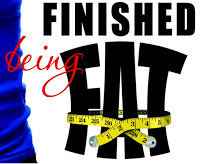 Next week, I will be working with my editor on the final proofs of Finished being Fat. I'm sure I will have much to share on the process. Maybe she'll even teach me how to use a comma correctly. Until then, come "like" my new fan page for the book. Or visit the blog. Great advice! I found myself making many of those comments on a few of our essay entries. We’re writers and we want to write- sometimes it’s hard to get rid of the fluff and stick to the meat of the matter. Goodness knows I’m guilty! Thanks for this great post! If you need professional research paper writing services to solve paper writing problems confidentially then you is on the right place we have safest solution for you. We well expert and experienced writers in the field of writing Academic contents.